There's a nice Laura Miller review of Conjunctions 39 over at Salon.com Books | Salon recommends. "What they have in common is no particular commitment to realism," she says, talking of Peter's "New Fabulists", and she has a point. 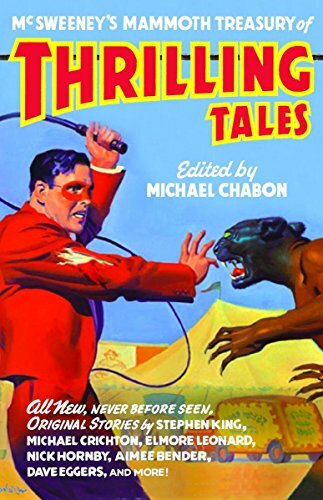 The McSweeneys Mammoth Treasury of Thrilling Tales comes out in February, with my ghost story "Closing Time" in it. According to the McSweeneys website, they'll be sending subscriber copies out 10 months before it's available to regular bookbuyers. Then again, Amazon says it'll be out on Feb 25th 2003. Very mysterious. This is what the cover looks like. 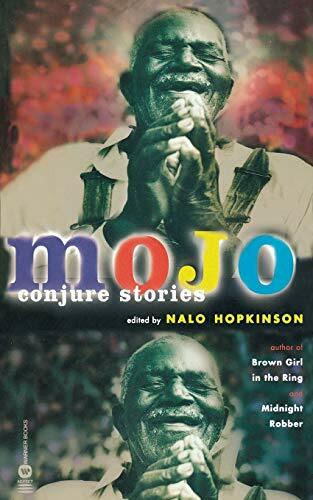 April brings Nalo Hopkinson's Mojo: Conjure Stories, which has a story I wrote last year called "Bitter Grounds". It's a sort of zombie story. Nalo has a wicked laugh, and is an amazing writer as well as being a reassuring editor. This is her website. The other anthology with something new of mine in, Shadows over Baker Street, contains a lovecraftian Sherlock Holmes story I wrote called "A Study In Emerald", and won't be out until September.